It seems that the better devices get, the more demanding consumers become. Barely a week has passed since the release of the new iPad, and yet already it seems much of the blogosphere is focusing its attention on the next iPhone. Indeed, iPad aside, we’ve only had the pleasure of Siri and the iPhone 4S for some five months, yet there has been an underlying notion of "this is great, but what’s next?" ever since the release date. It was initially suspected the next iPhone would be 4G LTE compliant, a suspicion which seemed even likelier to materialize with the new iPad supporting 4G. Yesterday, the discovery of strings within iOS 5.1 gave us as sure an indication of a 4G iPhone as we could get without actually hearing it from Apple officially. More details have now emerged, with iMore reckoning Apple will stick with the current 3.5-inch screen size. A few interesting theories have cropped up hitherto, offering supposed reasons as to why the fruit company has stuck with the same screen size for nearly five years, while rivals’ displays have gotten progressively larger. Designer Dustin Curtis believed that since the average thumb couldn’t cover a diameter much larger than 3.5-inch, Apple wouldn’t go any larger. However, we’ve also been hearing that Apple will go higher – all the way up to 4.6-inches in fact, so the jury remains out on whether Tim Cook’s company will finally break the mold. October 2012 seems to be the perceived release frame – not too much of a surprise since the iPhone 4S released last October. Apple reaped the benefits of the holiday shoppers last year with exceptional sales, so will be unlikely to revert its release cycle back to the summer, which some reports have claimed. Moreover, since Apple’s iPhone 3GS was still retailing (and selling well) up until last October, it’s clear that the iPhone can withstand the test of time. 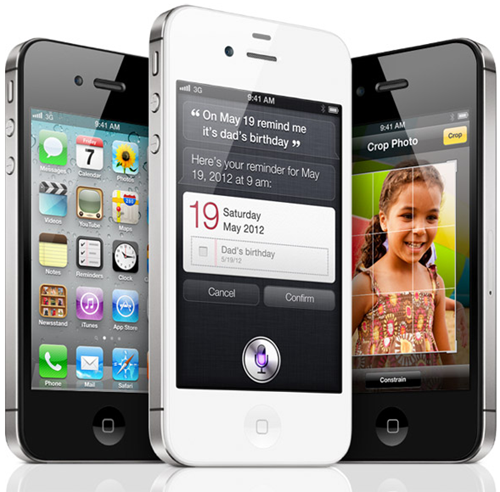 Thus, Apple will not want to shorten the iPhone 4S’s shelf life by releasing a new one any earlier than a year later. As well as the similar-sized screen and 4G LTE radio, iMore reckons the device will come with a "micro" dock connector, which will make the plug and socket smaller and in turn free up space inside the device for hardware. It will not compromise any data or transfer speed, and will be a similar introduction to the space-saving Micro SIM tray within the iPhone 4.